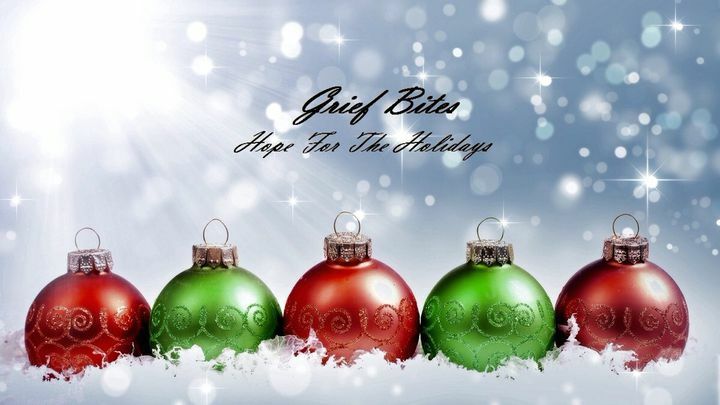 Grief Bites: Hope for the Holidays - For many, the holidays are a time of great joy...but what happens when the holidays lose their sparkle and become challenging due to deep grief or loss? This special reading plan will help those going through grief to find comfort and hope for the holidays, and shares how to create a meaningful holiday season in spite of deep grief. For many, the holidays are a time of great joy...but what happens when the holidays lose their sparkle and become challenging due to deep grief or loss? This special reading plan will help those going through grief to find comfort and hope for the holidays, and shares how to create a meaningful holiday season in spite of deep grief.